Dr. Hanif Asaria and the team at Calgary Dental Centers provide treatment for a variety of situations. The clinics located in Calgary, AB also provide emergency dental care. This is care needed in cases when immediate services are required. This may mean a same-day visit or care over-the-phone and a next-day appointment for necessary treatments. 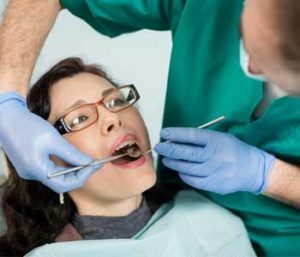 An emergency dentist is a professional who provides same-day or next-day services for patients in the Calgary, AB area. Dr. Hanif Asaria understands how important it is to get care as soon as possible when there is breakage, pain, or an infection that is causing patients to worry about their dental health and wellness. We assist our existing patients with emergency dental, as well as patients who have never been to our dental clinic before. We want patients, new and current, to have a place to turn when there is a need for immediate care. What may be done for a dental emergency? The treatment option for a dental emergency depends greatly on the situation that occurs. For example, patients who have a broken tooth may need a dental crown or benefit from the placement of composite resin bonding. A patient who has a knocked-out tooth will need to see the dentist as soon as possible to increase the likelihood that the tooth can be reattached. 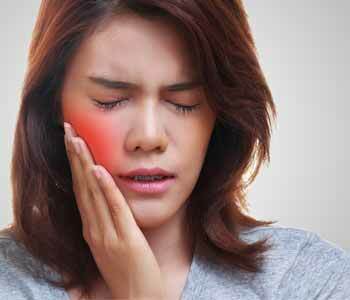 Patients with a severe toothache may have an infection of their dental pulp, which requires services such as root canal therapy. When patients arrive at the dental office, they are assessed and diagnosed to determine which treatment is needed. There are some situations in which multiple solutions may be available. Dr. Hanif Asaria will, in this case, give patients the option to undergo one or the other, and provide information regarding the pros and cons of each solution so patients can make a knowledgeable decision regarding the care they receive during their visit. The cost of treatment varies on several factors, including any medication that may be needed, anesthetics, sedation, and the type of restoration or service required to bring the smile back to health, beauty, and natural function. We encourage patients to ask about how much they can expect their treatment to be when they receive a proper diagnosis and a recommendation regarding the ways in which they can resolve the situation. Patients are often excited to learn that we not only have dental care, but we can assist with payment plans and other financing solutions to make necessary treatments attainable for even those on the tightest of budgets. We know how an unexpected dental emergency can affect one’s budget, but we want our patients to get the care they need when they need it. Therefore, we offer financing solutions that fit many budgets. Patients have the option to pay for their services in other ways if they decide to pay in full, including cash and credit. Do you need assistance from an emergency dentist? Contact our team of professionals in Calgary, AB to discuss the benefits of working with an emergency dentist. One of our practices is located at 127-12100 Macleod Trail SE and can be reached by calling (403) 768-1339, and our other location is at 10-5315 17th Avenue SE and can be reached at (403) 768-1339. We recommend patients call our practice when they need emergency dental care, and our staff will assist in any way they can!